To comply with USDA and FDA regulations, food processors are frequently required to test their products for microorganisms, where their presence and growth could present a human health hazard. Certified Laboratories, Inc. offers an extensive range of methods to detect all microorganisms, pathogens and many toxins of concern to the food professional. As part of our full-range testing for the food industry, Certified Laboratories includes microbiological testing for food processing at all stages of production, including environmental testing, problem solving, and quality assurance. Methods & Techniques: Rapid or Classical methods (or a combination of both) are used in compliance with AOAC, BAM, and other official compendia. The molecular strain typing system utilized at our Midwest laboratory provides our clients with a more powerful degree of differentiation than traditional serological methodology. We couple our molecular capabilities with an automated biochemical identification system to characterize unknown organisms down to species with a high-capacity cryofreezer that is used to provide a centralized storage receptacle for the Certified Laboratories Culture Collection. 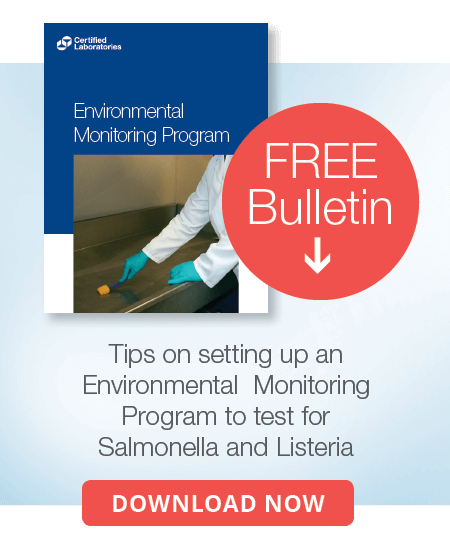 In sum, this collection of technologies will allow Certified to offer its clients a more complete solution to their environmental monitoring programs, food spoilage, pathogen investigations and as a final assessment in potential sampling cross-contamination investigations. 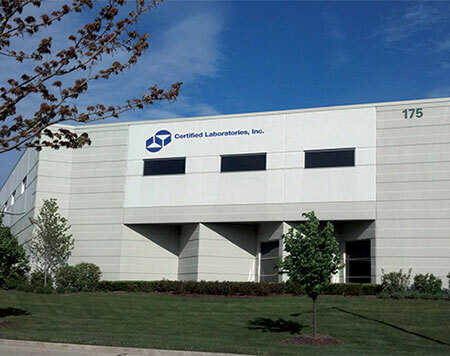 Certified Laboratories also leverages its unique and robust assortment of industry expertise and instrumentation to provide a comprehensive list of investigatory services which include Organism Identification, Molecular Strain Typing, Spoilage Organism Investigation, Product and Method Validation, and Environmental Contamination Investigations. The center of excellence for its molecular microbiology program is located at the Midwest facility and the center of excellence for process validation is at the Food Safety Center in Northern California.